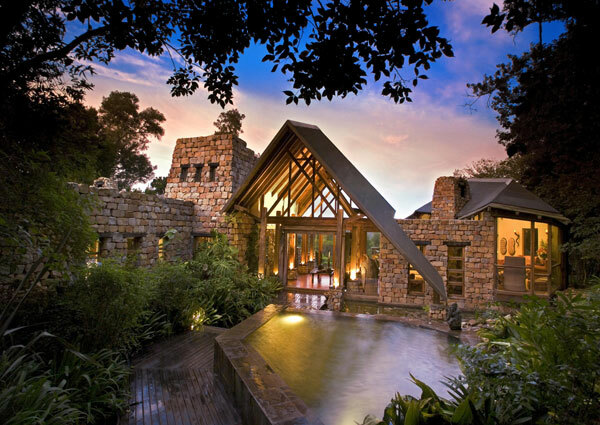 Amidst the treetops of an age-old indigenous forest, Tsala is a lavish celebration of the spirit of Africa. 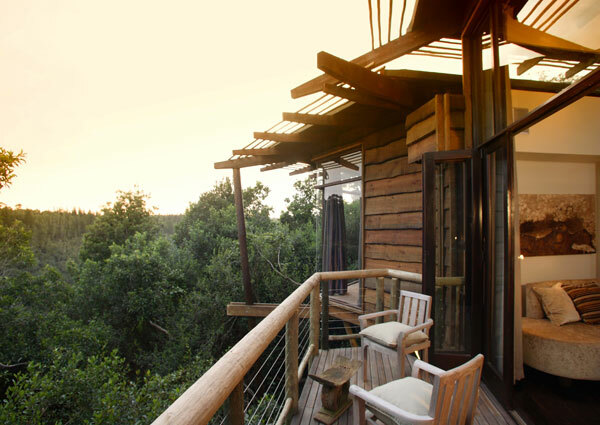 Situated in the heart of the Garden Route, Tsala Treetop Lodge is encircled by lush forests extending across rolling valleys, towards the distant hills. With elaborate afro-baroque décor, earthy colours, rich textures and handcrafted fittings, Tsala’s aesthetics take inspiration from the diversity of Africa’s cultures and merge them with the modern sophistication of the Western World. 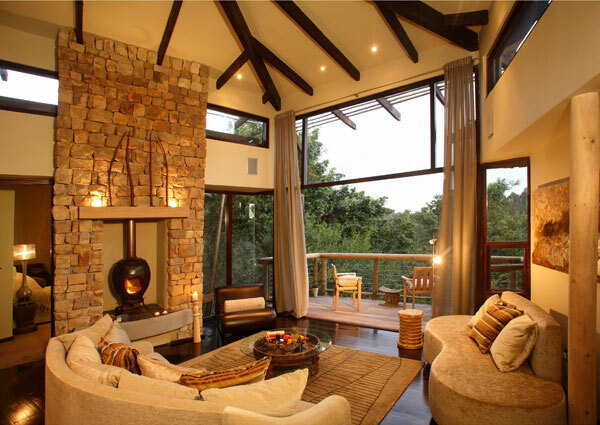 Tsala is the ideal place for a magical getaway, showcasing the beauty of Africa though its exotic dining room, intimate glassed-in lounge, or large open decks high above the forest floor. 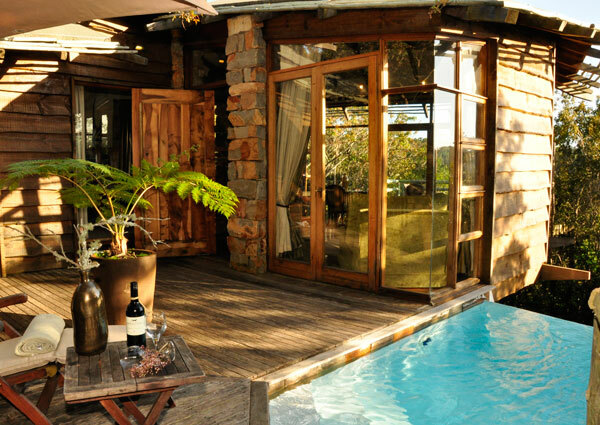 Tsala is a fantastic get-away destination, with beautiful private suites and villas, breath-taking views and forest seclusion, unique architectural design and excellent personal service. 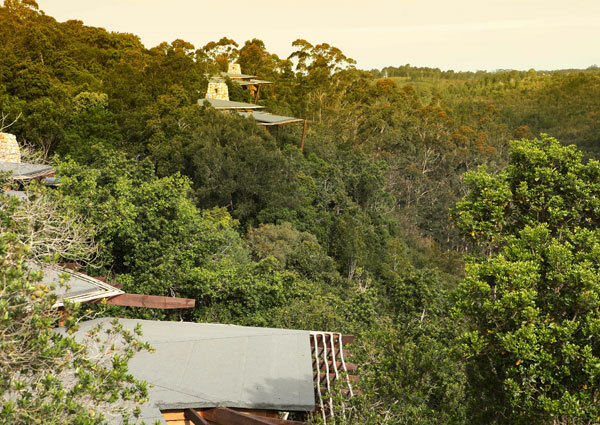 Tucked into the forest canopy, ten luxury hide-away treetop suites extend into the forest from a private deck to a private infinity pool providing the ultimate privacy. Built high above the forest floor to complement the style and architecture of Tsala are six lavish two-bedroomed villas, styled with sophistication and modern touches for pure luxury. Each suite is enhanced with modern necessities and essential creature comforts, including a hairdryer, personal in-room safes, body products from Charlotte Rhys and complimentary sherry in the room. Dining experiences at Tsala sees culinary genius exquisitely presented in the glass walled dining room or on the spectacular dining deck, suspended above the forest floor. For casual a la carte, the award winning Zinzi Restaurant is just a stroll from Tsala.